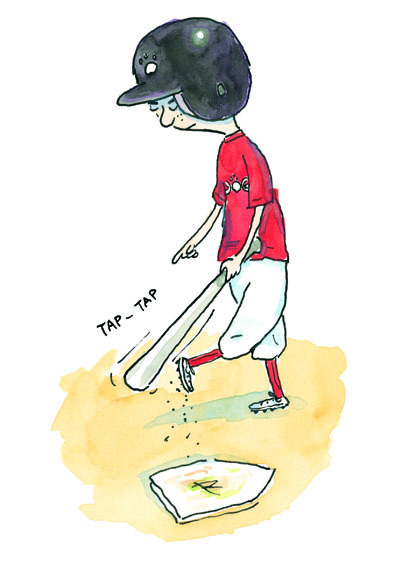 Everybody is familiar with the classic poem by Ernest Lawrence Thayer, “Casey at the Bat,” first published in 1888 in the San Francisco Examiner. That’s 120 years ago. According to Wikipedia, Thayer was “so embarrassed by what he considered to be a doggeral that he kept his identity secret for years.” It was originally published under a pen name. Yet as much as I liked the original poem, it never seemed to hold a lot of kid appeal. So the idea struck me that I could do my own version of the poem, keeping the baseball flavor and dramatic setup, but transposing it to a Little League field at the youngest, most inept, most playful level. Thus, Mighty Casey (Feiwel & Friends, March, 2009), a decidedly different take. 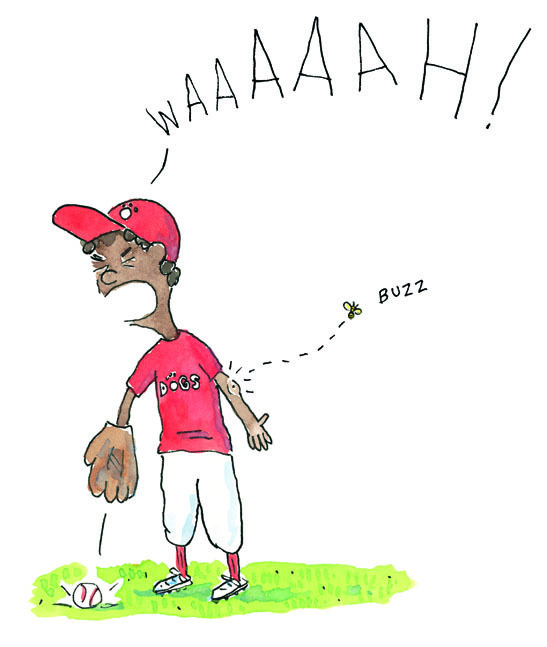 I got the idea for this translocation directly from my years of Little League coaching. I’ve spent a lot of time with those kids. Here’s a recent snap from last September. That’s my Maggie, at age seven. 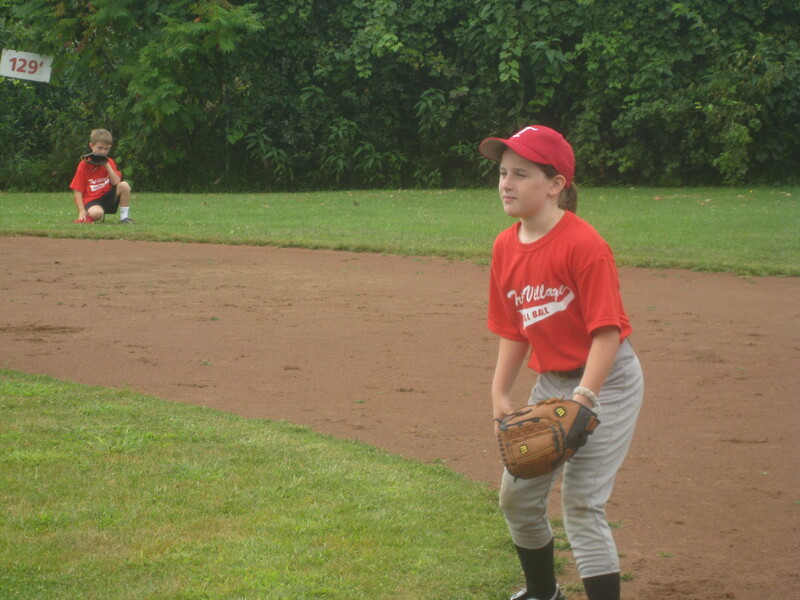 Maggie’s state of readiness is impressive, particularly when compared to her teammate in centerfield. for the Delmar Dogs that day. lost every game they played. 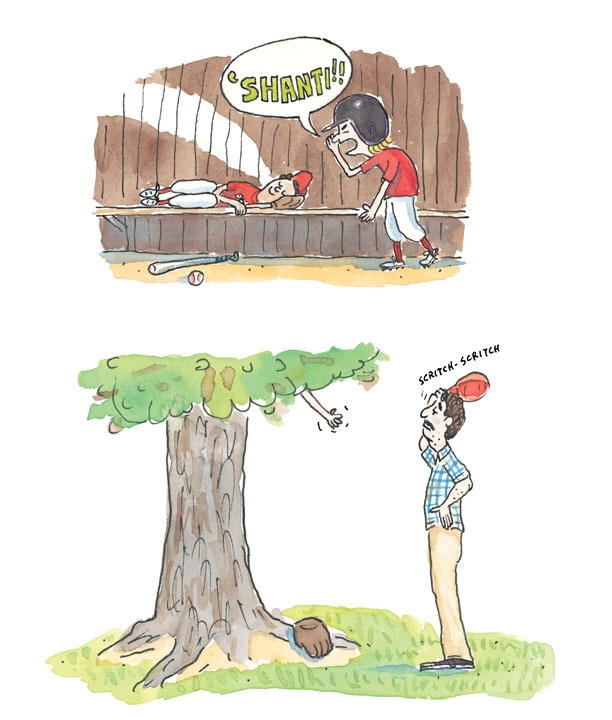 Tommy Maney climbed a tree. the Dogs could do nothing right. the fans stood and cheered. The Dogs scored at last. Don’t you love that rhyme, cheered and weird? Thank you, thank you very much. Anyway, it’s freezing outside. Eight degrees, last I looked. But pitchers and Molinas report to Spring Training in less than a month. Breathe deep. Can’t you feel it? Baseball is around the corner. 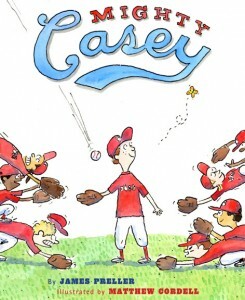 And Mighty Casey is due to arrive in bookstores March 3rd. Play ball. We’re swinging for the fences!